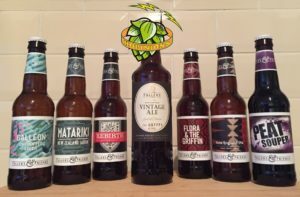 This week we dive into the Fullers & Friends box of beers, get stuck into loads of news and take a look back at our first 50 shows. 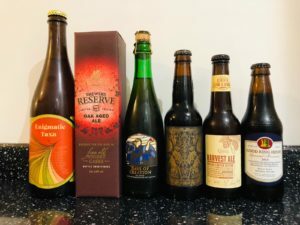 Hopinions | As it’s that time of year where we find ourselves in venues not serving drinks of our choosing, what do you drink when there’s no decent beer on? It’s the final part of our Golden Pints 2016 Trilogy and in this mammoth episode we look at Best UK Brewery, Best Overseas Brewery, Best New Brewery of 2016, Best Pub/Bar/Taproom, Independent Retailer of the Year, Online Retailer of the Year and Beer Festival of the Year. Hopinions | Can you name your brewery of 2016 & Can you name your favourite pub/bar and/or taproom of 2016? We’ll be back in 2017 with more #Hopinions, thanks to all of our listeners for your continued support and engagement throughout 2016. 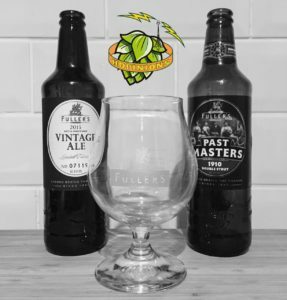 It’s the end of another season and we say goodbye with a beer that’s becoming our staple end of year finisher, the Fuller’s Vintage Ale (2014 edition). We take a look back over what has been our biggest season ever and chat about our highlights of the season. We also talk Golden Pints for which we’re very grateful to all of you who have nominated us in your posts. The last of the coveted 2015 big boxes of nothing is awarded not once but twice in the #prizelessprize and we take a look forward to season 9. As always, a massive thank you to all of the breweries who have supported us this season, all of the guests (both live and interviewed) and to you all, the listeners for sticking with us. We’re 50! 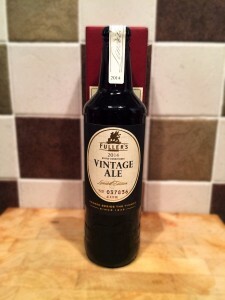 Well, 50 episodes old at least, and it’s a very special episode with a very special beer: Fuller’s 2012 Vintage Ale. How will Steve and Mark enjoy a beer they’ve been holding on to for over a year? Will they drift off into hours of reminiscing? How have they last this long, anyway? 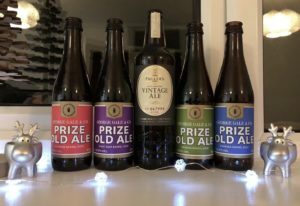 All this and the usual beery chatter – it’s beer o’clock!